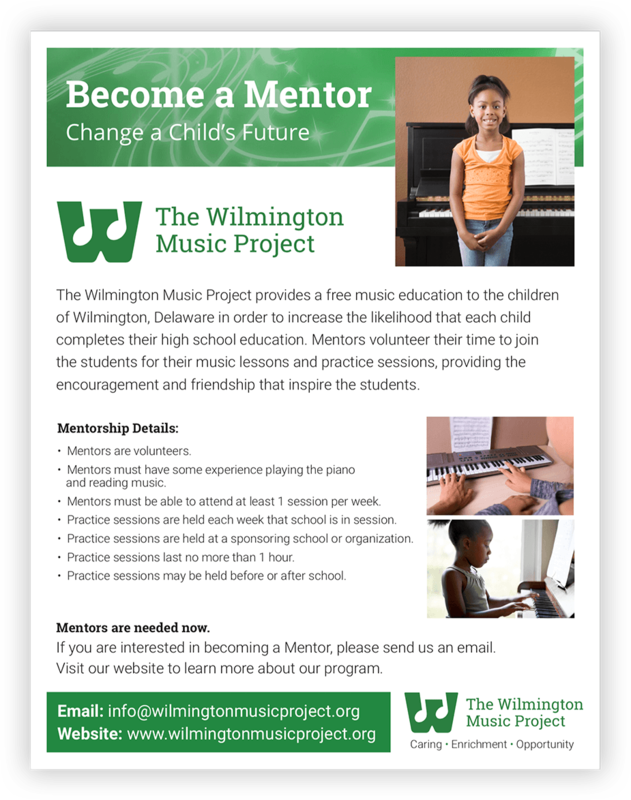 The Wilmington Music Project is a nonprofit organization that provides a free music education program to the children of Wilmington, Delaware. 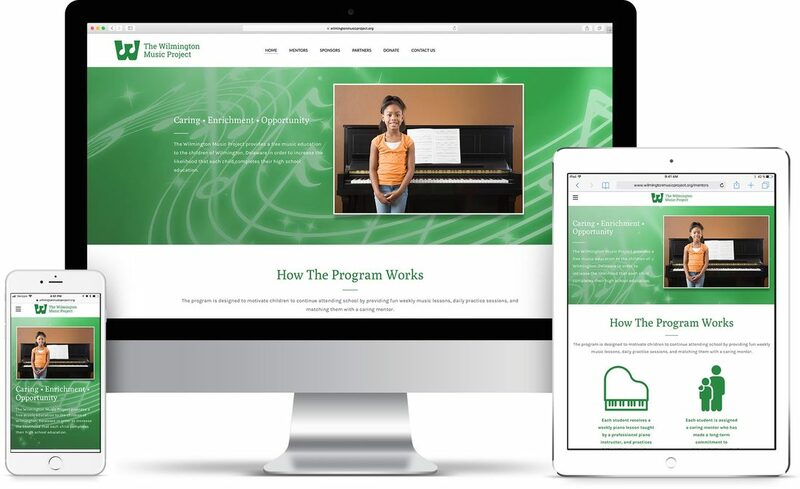 The program is designed to motivate children to continue attending school by providing fun weekly music lessons, daily practice sessions and a caring mentor. 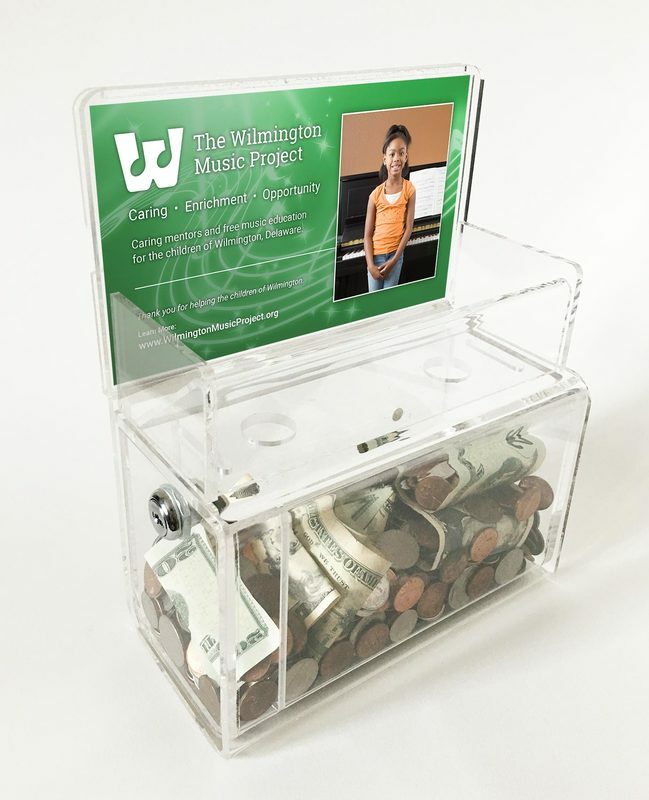 PROSPER designed the branding, website and marketing materials to communicate the mission of The Wilmington Music Project and raise funding in support of the program. "I have found PROSPER Creative Design to be an invaluable partner. PROSPER combines technical and creative skills which have greatly enhanced my brand. PROSPER listened to me, added their experience and delivered value." Need a talented, affordable graphic designer?